Unless you’re suffering from social anxiety, you’ll have no idea how terrifying the fear is, when you’re talking to strangers or for some, dining in public. This fear that prevents you from having a normal social interaction is very real, as people with social anxiety perceive social situations as threatening due to a difference in their brain structure. In extreme cases, you may need to start taking prescription drugs as recommended by your doctors to keep the anxiety under control. While prescription drugs have never in my list of remedies that contribute to my recovery, I want to highlight that there is no right or wrong in taking it when the situation requires. With that said, I do recommend balancing prescription drugs with a healthy lifestyle and natural remedies for social anxiety, as I’ve noticed that there are complaints from fellow sufferers of drugs losing their effectiveness after a period of usage. What I’m going to share here, are some of the lifestyle and natural remedies that I’ve actually taken or practiced in my struggle to end 15 years of social anxiety. While social anxiety may affect us differently. I believe there are enough similarities amongst us that some of these tips may help you in your struggle. Besides burning off some calories, working out can indeed make you feel good from the endorphins that were released. A research from Queens University in Canada suggested that progressive muscle relaxation can actually change our perceptions toward threats. Truth to be told, I’ve never been a fan running on treadmills or lifting weights. I’ve trained martial arts since I was 13, and it’s what I turned to get that extra boost of confidence on top of the feel good factor from the endorphins. In fact, I’ve been through a few hours of grueling workout before I wrote this post. Chia-seeds is a superfood in battling anxiety that has been consumed by ancient Aztec warriors for its energy boosting attribute. Besides that, it has also been proven to be rich in antioxidant, regulates cholesterol and lowers blood pressure to maintain the health of your heart. I started taking chia seeds not long ago. It’s a simple way to boost my mental health. But frankly, I’m more attracted to the other benefits offered by chia seeds, especially the part that helps to keep our heart healthy. Depression and anxiety can take a toll on your health, and at 35, I have to start putting health at a priority. Here’s a local brand that I currently take. 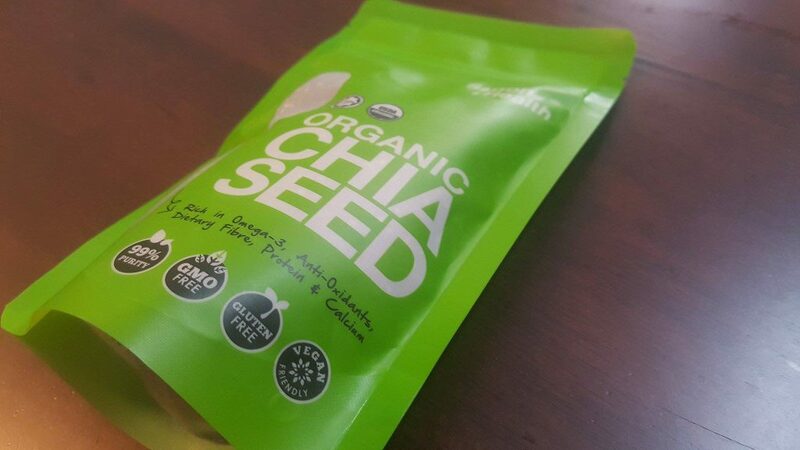 But do read my experience with chia seeds before deciding if it’s suitable for you. There’s nothing better than a boost of caffeine to start your morning on a high. But, when you’re struggling with anxiety, the effect of caffeine that inhibits a calming transmitter may increase your stress level. The logical thing to do is to quit caffeine but beware that doing so abruptly may cause another withdrawal anxiety. I’ve always been a coffee lover since I’m a teenager. In my late 20s, I became sensitive to the effects of consuming strongly caffeinated coffee. The effect of my mind going tensed can be felt almost immediately. I’ve tried cutting off caffeine for a week, especially before a meeting, and it does lessen my anxiety. Occasionally consuming alcohol may have the effect of reducing stress and anxiety. It does help you to be more confident and social in a meetup. But if you’re constantly resorting to drinking to release stress, your system will gradually be less tolerant to the de-stressing effects. What’s worse is that alcohol changes the level of neurotransmitter that can worsen your anxiety when its effect wears off. I was never a heavy drinker, although, at a certain point of my anxiety and depression, I did resort to alcohol to shut down some of my worries. It’s all good when the effects from the alcohol clouded my mind, but when I got over from the hang over, all the worries rushes backed in and tripled my anxiety. I’ve been staying away from excessive drinking ever since. Some foods will worsen your anxiety. and some will improve your mental health as a whole. While changing your diet may not help you to overcome social anxiety once and for all, it does help in part of the process. Foods that are high in Omega-3 fatty acids play an important role in keeping your neurotransmitters healthy. Our brain wave changes when we’re asleep, calm, active and when we’re stressed and anxious. The resulting electrical frequency as the neurons in our brain communicate can be changed with a technology called binaural beats. Binaural beats involve two audio tones of slightly different frequencies being played on the left and right ears simultaneously to alter our brainwave. One of the earliest remedies that I’ve sought to help in lifting my mental energy is binaural beats. There are so many of “binaural audio” on Youtube, but not all have been effective for me. Here’s one, in particular, that’s working well in easing my mind off unnecessary worries. Feel free to try and let me know if it works for you in the comment below. Researchers in University of California, Berkeley, found that activities in the amygdala, a part of our brain attributed to emotional reaction, is increased when we’re sleep deprived. And if you’re already suffering from anxiety, sleep deprivation will only increase the severity in your anxiety. I’ve experimented not only with the sleep duration but also on the time we fall asleep. There is definitely a notable difference as my mind seems tensed and stressed if I sleep later than 1 am, even if I got the required hours of sleep. But if I could sleep before midnight, I tend to feel fresh even if I get fewer hours of sleep. Mindfulness meditation is getting increasingly popular as an alternative therapy recommended for people suffering from anxiety. But the thing is, most people misunderstood mindfulness meditation as the instant cure for anxiety. It takes time for you to develop mindfulness, and it’s normal when you can’t meditate when you’re in anxiety. I learned mindfulness meditation when I’m 17. My practice has been on and off, although I do meditate for 3-4 years when I started. When I got into depression, I attempted to meditate again. It is challenging. But when I did it consistently for 15 minutes right after I woke up, I find that there is a small gap to intervene and prevent my mind from reacting negatively to trigger situations. 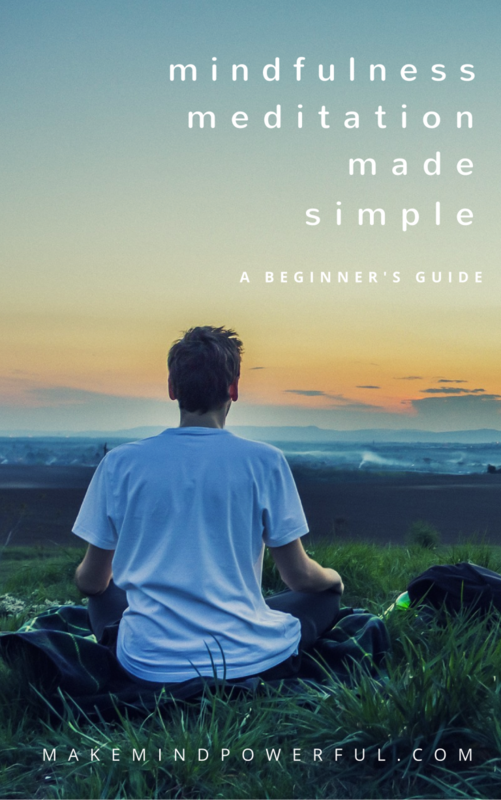 I’ve written extensively on meditation, and I think this article is the best to start if you’re struggling with anxiety. Unlike stage hypnosis or hypnosis depicted in movies, clinical hypnosis performed by trained hypnotherapist could be an effective means of reducing your feeling of anxiety. But what’s more important is that consistent hypnosis sessions, especially targeted to social anxiety, could rewire your neuron pathway and remove your fear based perception to social interaction. I have been skeptical about hypnosis until late last year. A few experiments with hypnosis track on YouTube and after watching my magician friends performing hypnosis act on a stage show, I started to give a serious thought on using hypnosis to battle social anxiety. In my recent relapse, I decided to give it a try by downloading a hypnosis audio created by professionally qualified hypnotherapists. It is now one of the most effective natural remedies for social anxiety to me. When you think of human beings in terms of energy, it makes sense that when one is suffering from anxiety and depression, their energy is no longer calm and focused but in a total haywire. Energy healing is an alternative treatment to stabilize and replenish a person’s energy. Dr. Katharina writes a very detailed article of how anxiety relates to one’s energy flow. If there’s anything that I can pinpoint as the turning point in my battle against social anxiety and depression, it’s an energy healing program called Unlimited Abundance. It’s a form of energy healing that also discovered and unrooted my limited beliefs. One of them is “I’ll never be able to speak on the stage“. Once it’s removed, I started a series of emceeing and actually enjoyed doing that. A strong determination is vital in overcoming social anxiety and depression. Without that, you won’t go far regardless of the methods that you use. Then again, being over-zealous and putting too much expectation on yourself could sometimes backfire. I’m one who never announces publicly that I’m going to be an awesome public speaker or emcee. I treat each challenge as a new learning experience. By not putting unnecessary expectations on myself, it is easier to make progress and overcome social anxiety eventually. Some said motivation is overrated. But when you’re battling against mental issues, motivation is the key to boost your confidence and strengthen your beliefs to fight all the way out. Gina M. Florio shared some awesome ways to stay motivated here. At my lowest point, I throw myself in every single motivational talk and books that I can get for the lowest cost. 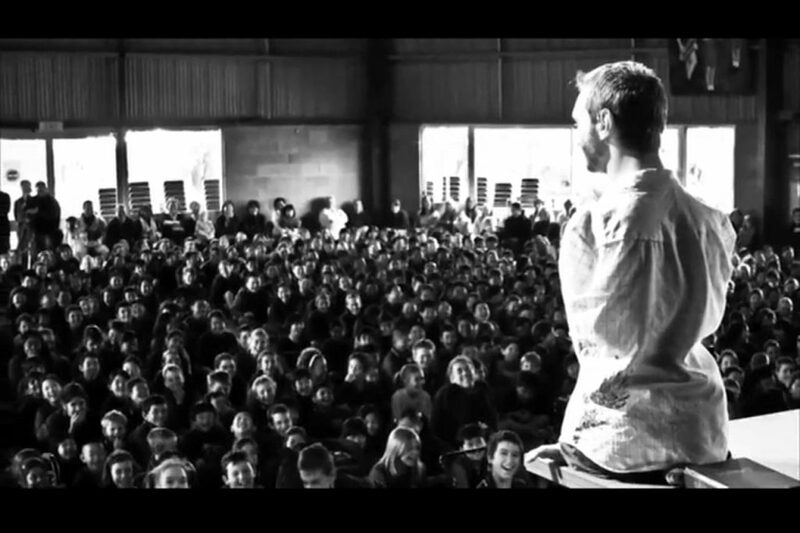 And one of the best that stuck is attending a talk by Nick Vujicic. When I saw how a person born without limbs could beat depression and be successful, it gives me the strength to battle on. When you have social anxiety, you instinctively withdraw from society to your personal shell. Coupled with depression, making friends seems to be the last thing on your mind. But a strong support network is exactly what you need to continuously encourage and lift you up. As I coaxed myself to start socializing after being stuck with depression and anxiety for months, I made new trusted friends who are non-judgemental and supportive in my struggle. I can say for certain that having great people around me made fighting anxiety feels easier. By the time you realized you are suffering from social anxiety, your mind has gone through years of conditioning that causes you to think negatively when interacting with others. When you talk and someone laughed, you’ll automatically wonder if you’ve done anything foolish, instead of wondering if you’ve just brought laughter to others in a good way. During the 15 years when I struggled with social anxiety, I would never write blogs like this and share my personal thoughts. There are definitely going to be people who disagree with what I’ve written and questioned my credibility. Now, I reframe my thoughts into thinking that I don’t need to be an expert writer, nor suffer the worst of anxiety to be qualified to share my thoughts and help others. A new study found that being kind may reduce the fear of interaction for people with social anxiety. When you’re acting for the sake of others, you put your focus on them instead of your own insecurity. That powerful intention of kindness will rob all the power from social anxiety. I first discovered this truth when I joined a local community project in a fund raising event for leukemia patients. Knowing that every effort I’ve put in could give these unfortunate children a shot at life gives me a priceless joy. At that moment, there is no place for anxiety and depression in my life. 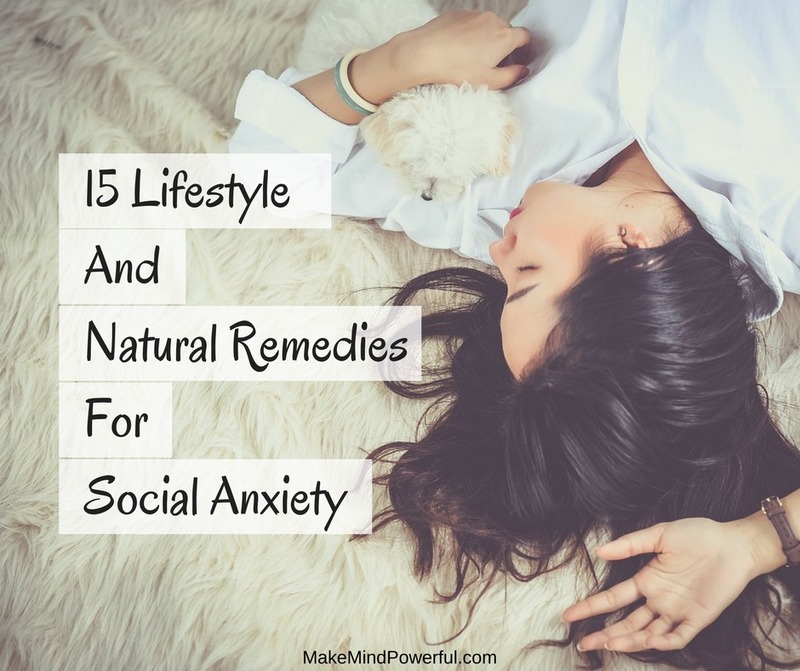 If you think this list of lifestyles and natural remedies for social anxiety is helpful, do share it with others who may need it. Also, do share your own way of overcoming social anxiety in the comment below. Previous Post How To Help Someone With Social Anxiety Without Causing More Harm Next Post Can Social Anxiety Be Cured Or It’s A Lifetime Suffering?